Is this the Age of 666? The message of 666 depicted in the Revelations, chillingly echo’s one of America’s largest broadcasting corporations. Numerology assigns a number value between 1 and 9 to each letter in the alphabet. The letter A corresponds to the number 1, B is 2, C is 3, and so on to the ninth letter, after which it starts over with 1 for J, 2 for K, etc. Following this method, we find three letters with a value of 6: F, O, and X. The number 666 translates to FOX and only to FOX; no other English word deciphers to 666. Launched in 1996, FOX News took a hardline, right-wing approach to newscasting from the start, frequently fabricating information and spreading falsehoods for the sole purpose of pushing the country further to the right. FOX cannot, by any stretch, be considered an objective news source; it is the forefather of Fake News. 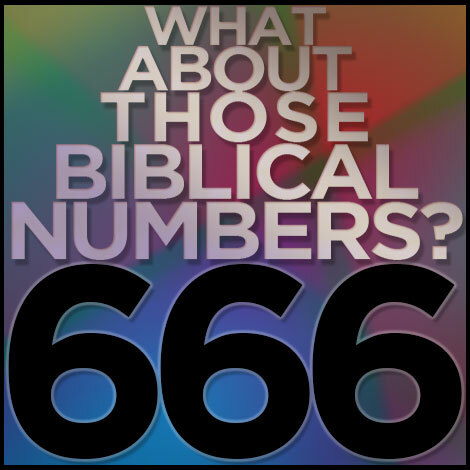 The number 666, and its symbolic biblical meaning expressed in the Revelations, chillingly echo’s one of America’s largest broadcasting corporations. Many in power today grew strong and fat feeding on the milk of this beast. The lack of empathy, compassion, social justice, and basic humanity of our new administration and many lawmakers is frightening and appalling. Putting profit above the environment and people’s well-being, trampling basic human rights, and rolling back years of hard fought work toward equality - it will take tremendous effort and solidarity to oppose this ill-fated path. This is a dreadful, but also a promising time - as our numerology analysis shows. However, you have to do your part. Find a reliable news source with credible, in-depth information and analysis, use social networking and your local community to stay informed and engaged - look around, it has never been easier to be an active part of needed change. People are not waiting; they are choosing sides, choosing right over wrong. There is sense of comradery, brotherhood and sisterhood, spreading across borders. Those guided by concern for their fellow human beings, regardless of color, religion, race, gender, sexual orientation, or nationality are growing in number – with more than enough power to vanquish the beast.